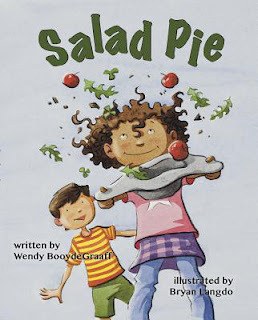 Today we have the pleasure of spotlighting Wendy Boodegraaff, whose debut picture book, SALAD PIE, illustrated by Bryan Langdo (Ripple Grove Press), came out on March 1! 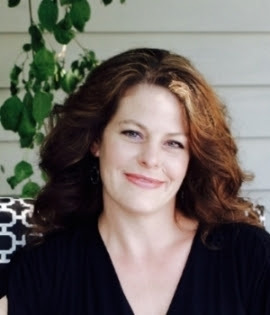 She is the founder of On the Scene in 2016, a blog for and about 2016 debut picture book authors and illustrators. Be sure to enter her giveaway for a free copy! Tell us about your background and how you came to write picture books. I think it came out of a love for picture books and reading them to my students and children. I still read picture books to my girls every so often, and they are teens and tweens. Also, I love words and the sound that words make when spoken, and the picture book is the perfect format for that. Congrats on your debut, SALAD PIE. What inspired it? SALAD PIE was inspired by my oldest daughter, while playing at the park. That’s where she said those words, “salad” and “pie” together, and I thought they sounded so unique and creative that I repeated them over and over on our walk home so I wouldn’t forget. Then she went for a nap and I started scribbling out a story. I’m working on several different manuscripts right now. I’m also collaborating on this great new blog with several other debut picture book authors and illustrators called On the Scene in 2016 (say it out loud—it rhymes J). What were the key one or two things you did that helped you get published? The keys to getting published—I feel as if I should be really profound here, yet it boiled down to simply  keeping my vision for the story clear and  not giving up. The publishing process has been an amazing experience. Most surprising, I think, is that I found someone who cares about every little detail of this story as much as I do. Hmmm…how about I share advice that helped me? Stick with a story way longer than you think you should—that means going over it again and again and again. And if you get stuck on one of the revisions, go back to the first draft and see if you can find your original vision for the story. Many times, we leave ourselves clues about the story we originally intended that might have gotten lost along the revision road. Most people don’t know I'm the youngest of seven sisters, and in fairy tales, that means I have special powers. Here are my links to wendybooydegraaff.com, Goodreads and Pinterest. Wendy BooydeGraaff grew up making mud pies on a fruit farm in Ontario, Canada and now lives in Michigan with her family. She has a master of education degree and a graduate certificate in children’s literature. SALAD PIE is her first book. Visit her online at wendybooydegraaff.com. Good advice. Thank you for the interview. I love the book! Aren't sister the best? I have 4. I love sisters! and thanks for your kind words, Sheila. Wonderful interview, Wendy! Congrats and mucho success. I loved making mud pies as a kid. There's definitely an art to making just the right mud pie. Hi Robin! I have great childhood memories of making mud pies, too. 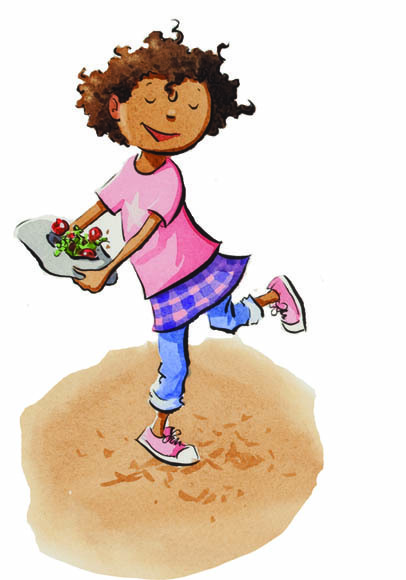 I hadn't made that connection between Salad Pie and mud pies until now--thanks. I like the idea of going back to the first draft to find the original vision. Sounds great,can't wait to read it! Congrats!! So fun -- congratulations, Wendy - can't wait to see this book. Thanks for the interview. Congrats! And Good advice--the turtle wins the publishing race! Great interview- and such a fun book! Congratulations, Wendy. Congratulations on your debut picture book and the new blog! And thank for sharing your journey, especially "not giving up!" Congrats to you and may you have many future successes! Congratulations, Wendy. Thanks for sharing insights and a little about yourself. I am looking forward to reading Salad Pie. It looks adorable! So many great tips! Thank you Wendy and Congratulations on your PB! Congrats on your success, Wendy! Salad Pie!!! How wonderful this title is!?! It's so creative and fun! Sounds like wonderful story and congrats on your success! Thank you for sharing your thoughts in this wonderful interview! :) Glad you stopped by, Jennifer. Looks like a great book - can't wait to find out what goes into salad pie. Congratulations to you! "A little of this, a little of that. Mix it up in the hat, hat, hat"